Last week whilst scrolling through my Instagram feed, I came across a photo from an old friend, standing on The Marauder's Map from the Harry Potter movies. 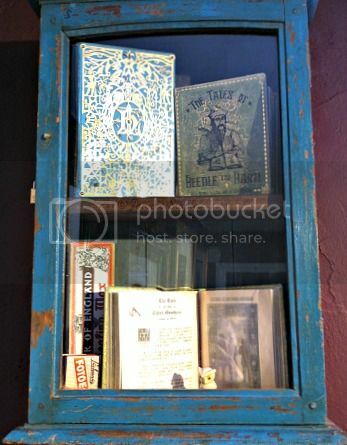 And so I discovered The House of MinaLima. 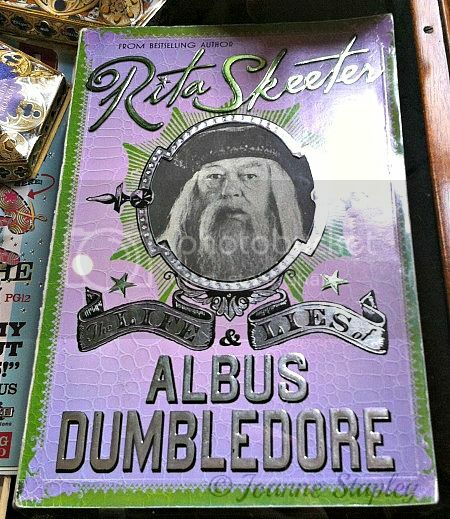 MinaLima are a a graphic design company who designed a lot of the graphics for the Harry Potter movies - think the newspaper, packaging for sweets, book covers, and so on. 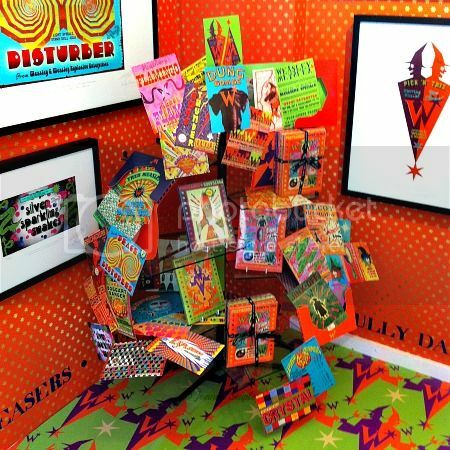 They have a pop up shop in Greek Street, London where they are exhibiting their work, most of which is from the movies. Being such a huge fan, I headed over to have a look round on Wednesday, and was amazed to see all the detail that went into making J.K. Rowling's wizarding world come to life on the big screen. 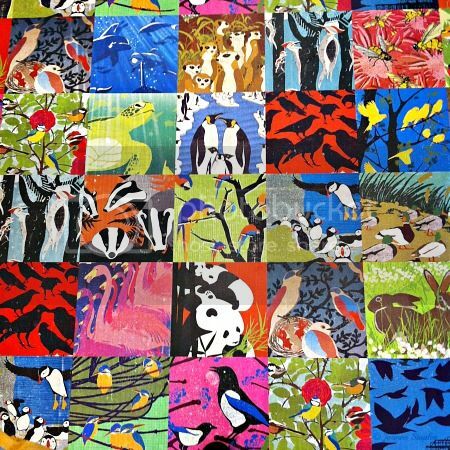 The first floor is home to their Collective Nouns collection; beautiful, bright coloured prints with bold fonts giving the collective nouns of various animals. 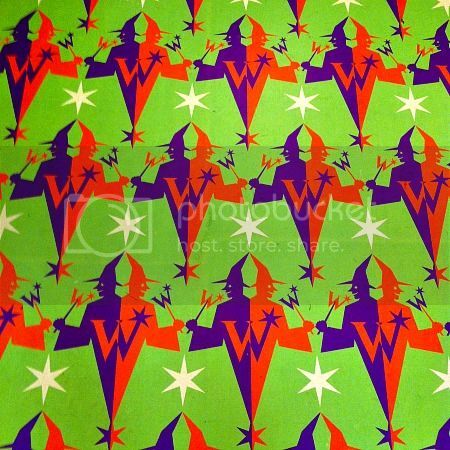 The floor itself is a piece of art, as sections of each of the prints had been printed onto lino. Then I headed up to the second floor where the exhibition of the graphic art of the Harry Potter films began, where the real excitement for me began. The latin reads "Never Tickle a Sleeping Dragon." Each floor from this point on is full of prints from the Harry Potter movies. 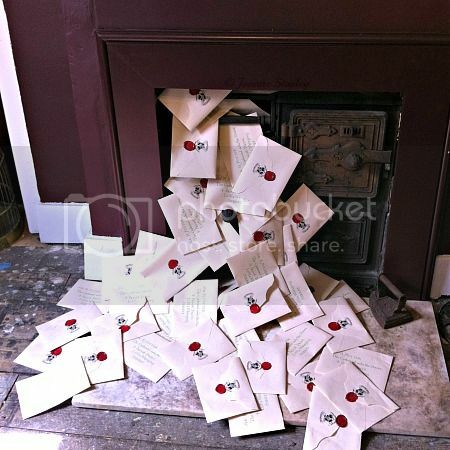 We see book covers, posters, proclamations, packagaing, Hogwarts letters and invitations. 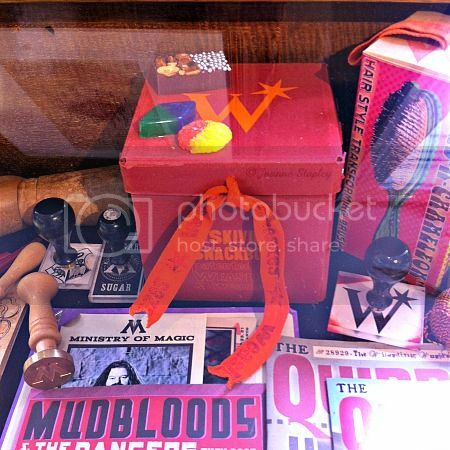 They also have film props from the actual Harry Potter movies, on loan from the Warner Bros. Studio Tour, Leavesden. On the floor of the second, the floor is lino printed with the central section of The Marauder's Map, and it just brought the biggest smile to my face. 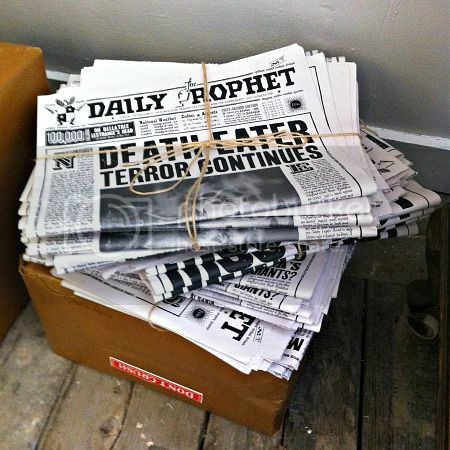 Second Floor - the floor for the beginning of the Harry Potter Films Graphic Art Exhibition at the House of MinaLima. 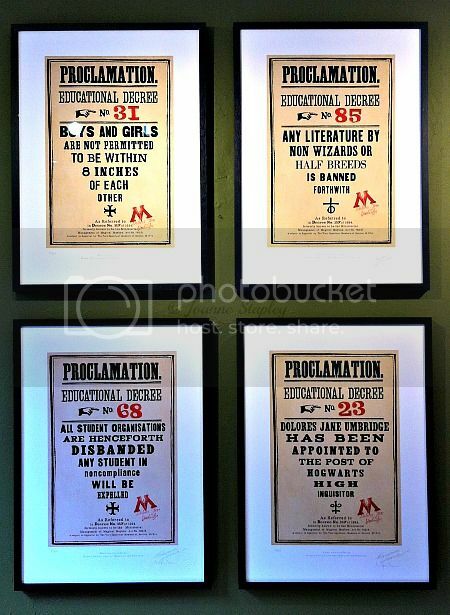 The staff at The House of MinaLima really know their stuff; they talk you through various prints and point out things you might not have noticed and inform you of things wouldn't have known otherwise. I learned so much! So much attention to detail went into the designs created for the movie. 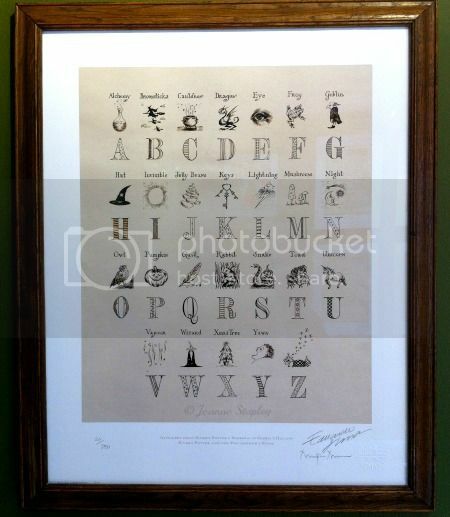 Below is a print of the wizarding alphabet poster for children, which was on baby Harry's bedroom wall in Harry Potter and the Philosopher's Stone - which you only get the smallest glimpse of! There was a print of potion labels, and one included all the ingredients that went into it. Below is a print of the Black Family Tree tapestry. 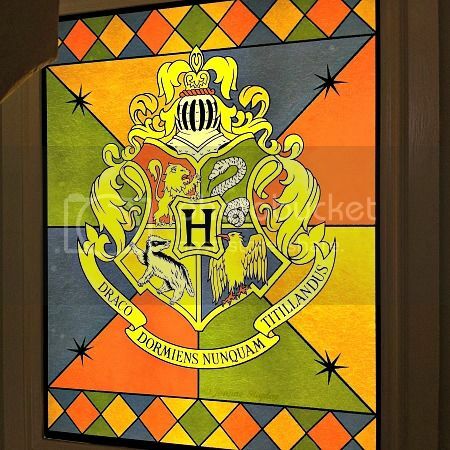 If you look at the bottom right, you will see Bellatrix Lestrange and Draco Malfoy (click on the image for a larger view). In the actual tapestry at the Warner Bros. 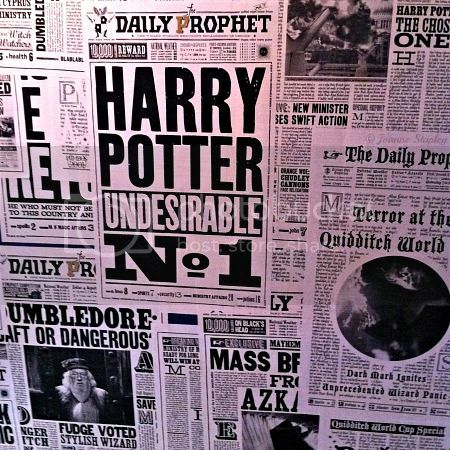 Studio Tour, Bellatrix and Draco aren't included, as they were added in with special effects for the movie as they moved. 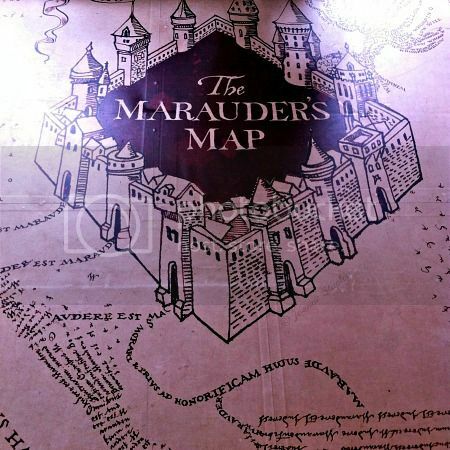 The actual Marauder's Map used in the movies has a spelling mistake! Below is a close up of the Whomping Willow section of the map (click the image for a larger view), and "Whomping" is spelt without the "h"! 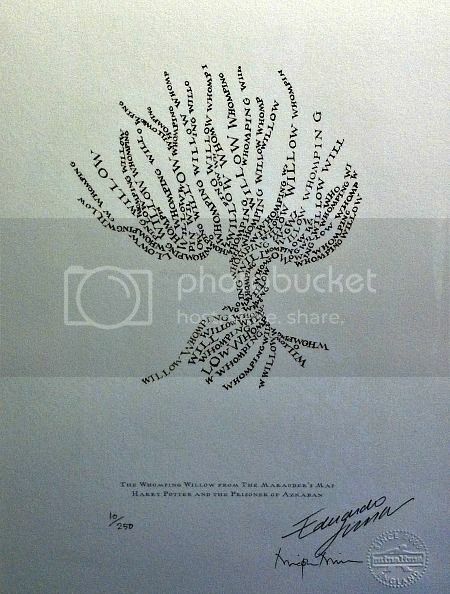 It has been corrected for the floor and for the print of the Whomping Willow, both of which you'll find further up this post. 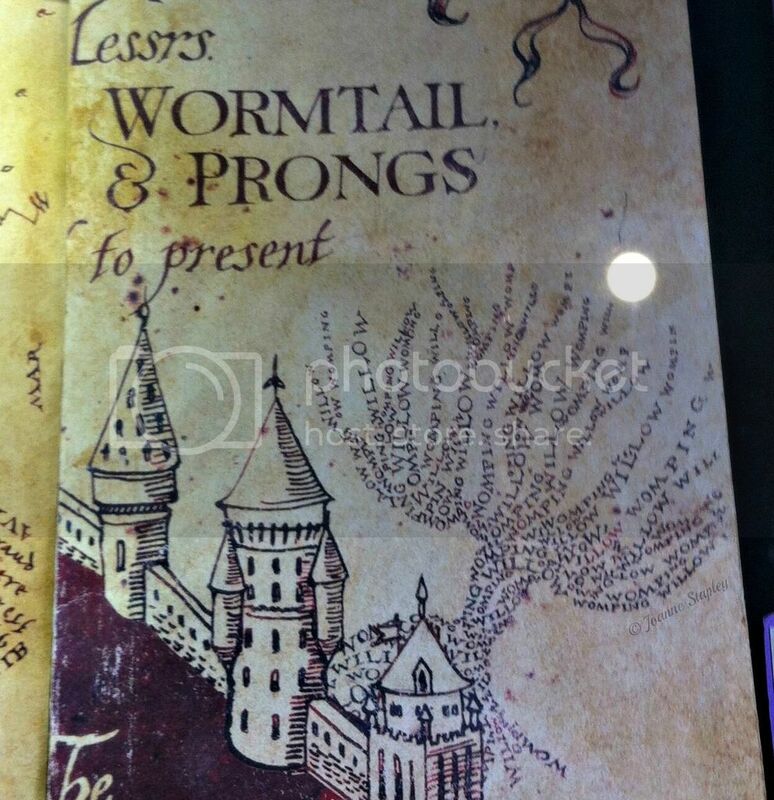 There was also a section of the second floor dedicated to Weasleys' Wizard Wheezes! 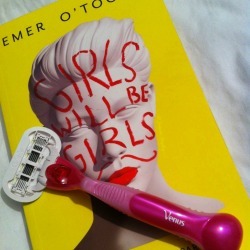 I loved the bright colours of all the packages! 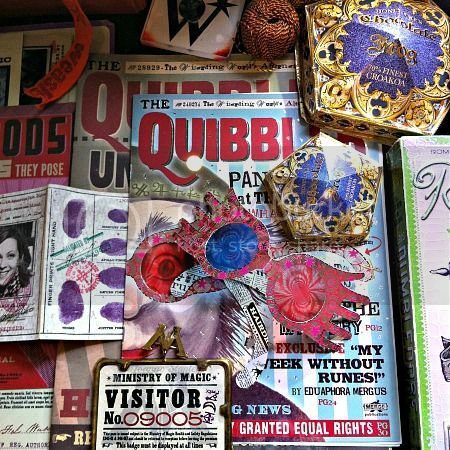 Second Floor - the floor of the Weasley's Wizard Wheezes section of the Harry Potter Films Graphic Art Exhibition at The House of MinaLima. 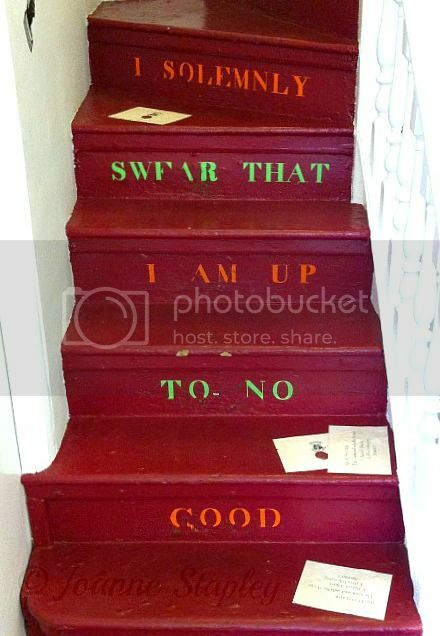 The wall of the staircase on the way up to the third floor at The House of MinaLima. 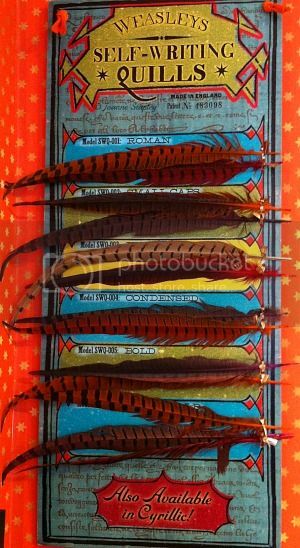 The House of MinaLima is absolutely fantastic! 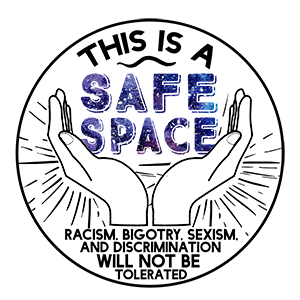 I've barely scratched the surface of all you can see there. 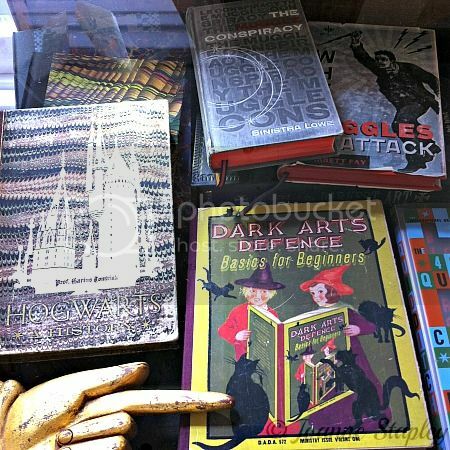 My favourite part was seeing the prints of the covers for Gilderoy Lockhart's books, because of Kenneth Branagh's poses! 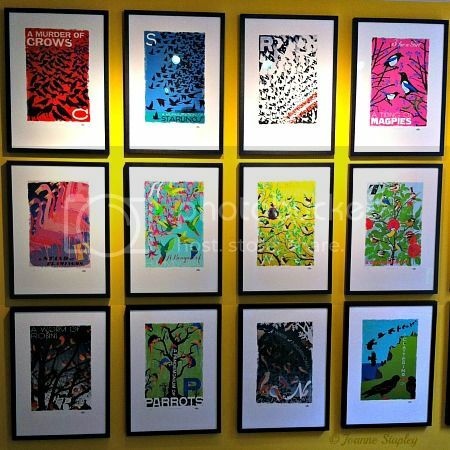 The ground floor of The House of MinaLima is a gift shop where you can buy some of the prints in the exhibition, or postcards, notecards and replica exercise books - all of which can also be bought from their online store. The House of MinaLima is such a wonderful exhibition, and well worth fans of the books and and movies popping in, especially as it's free! 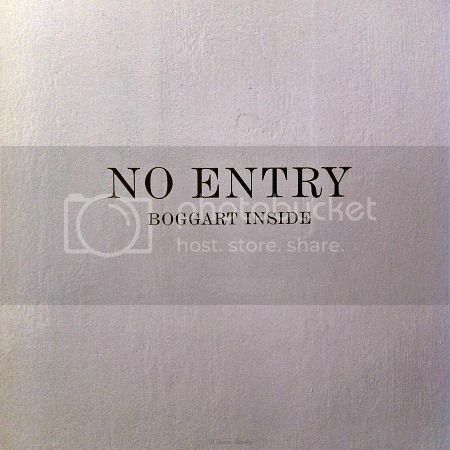 It's not huge, so you'll spend around an hour max walking through the exhibition if you like to linger. 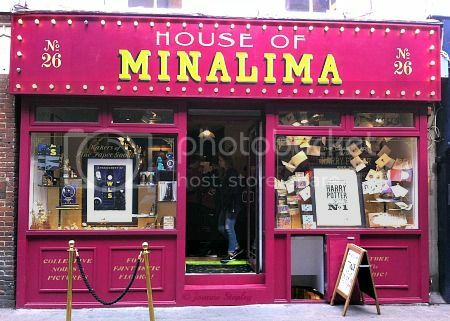 The House of MinaLima can be found on 26 Greek Street in London. It's open seven days a week from midday until 7pm - except for Thursday, when it closes at 8pm, and Sunday, when it closes at 6pm. 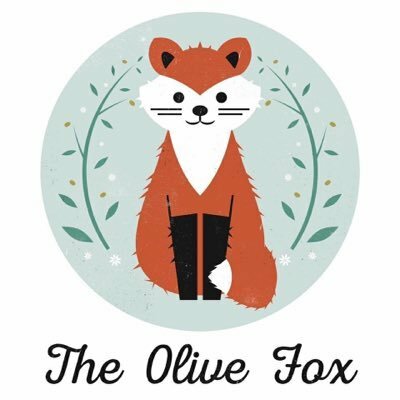 Find out more information on their website.